Believe it or not, sealing ductwork was not in the building code until 2012. Most homes ductwork leaks about 38% of the air in the ducts inside walls, floors, attics and crawlspaces so it never reaches the intended room. This makes rooms hotter or colder than one another, makes the furnace, air-conditioner work harder to get the home to the desired temperature, puts more wear and tear on your equipment and creates more dust in your home. For over 10 years Home Performance Services has been sealing ductwork the old fashioned way . . .by hand, with tape or mastics. Not a bad way to seal ducts, but the results are limited to the amount of ductwork you can physically get to. This means many ducts inside walls, floors and ceilings are still leaking but you just can’t reach them. AEROSEAL Automated Duct Sealing Seals 100% of your ducts FROM THE INSIDE! The AEROSEAL Dust Sealing System was developed in the 1990’s and is considered one of the most financially productive home energy improvements one can make, according to the U.S. Department of Energy. 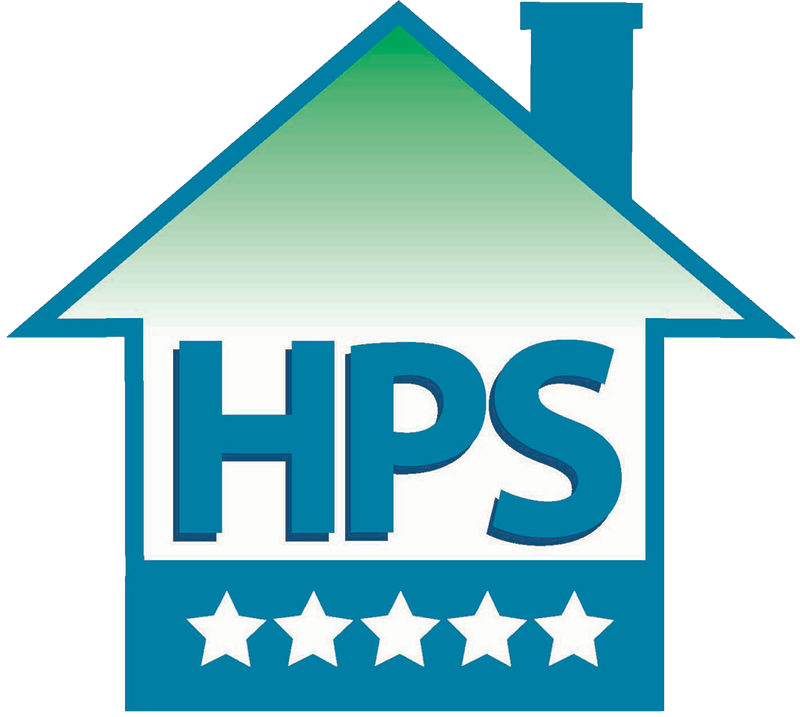 Before the duct sealing process is performed Home Performance Services will conduct a baseline pressure test of the ductwork. This test will pinpoint the amount and percentage of air your ductwork is leaking and will be the basis for measuring and certifying the effective improvement of the the duct seal. This is your Quality Assurance that the duct seal has delivered maximum results. The patented AEROSEAL process uses state-of-the-art technology to distribute a heated, non-toxic 10 micron polymer (the same base as chewing gum) throughout the duct system and the AEROSEAL seals all your ducts from the inside. As the pressurized and heated polymer is blown through the duct system it finds holes throughout the ducts up to 5/8″ and collects at the opening. Quickly the polymer collects and builds on itself and dries rapidly, thus sealing the ductwork. The average AEROSEAL duct seal improves duct tightness over 85% and improves heating and cooling capacity over 25%! 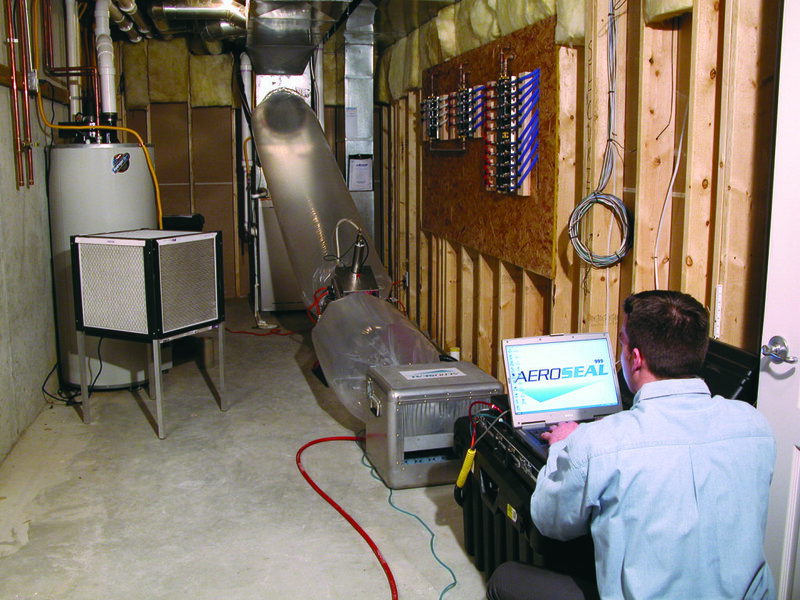 Upon completion the AEROSEAL computer software produces a Certificate of Completion which documents the improvement and the verifies the results. AEROSEAL is extremely effective for both residential and commercial applications. AEROSEAL can help solve hot and cold rooms, low flow of air from vents, high utility bills, and helping make your home or building healthier by minimizing dust and dirt from leaky ducts.